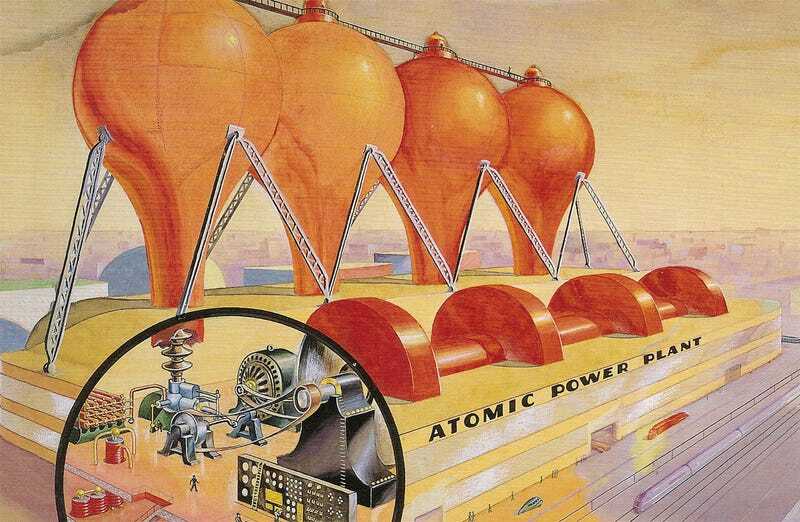 The October, 1939 issue of Amazing Stories published this painting of the atomic power plant of the future. The image can also be found in the book Out of Time by Norman Brosterman. If you look closely you can see the streamlined cars and trains of the future driving by. As noted in the book, the first functioning nuclear reactor was built in 1951.